Barton Morris is the founder of the Cannabis Legal Group in Royal Oak, Mich. Morris became interested in medical marijuana defense following the passing of the Michigan Medical Marihuana Act (MMMA) in 2008. This placed him on the forefront of the new and exciting industry of cannabis, which is developing right before our eyes. 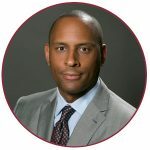 With 18 years of legal practice under his belt, accompanied by a solid and plentiful background in business and civil law, Morris is one of the top criminal attorneys in Michigan. Morris’s education, experience, and expertise sets Cannabis Legal Group apart, for he is knowledgeable about not only the ins and outs of the MMMA, but the criminal side of the industry. He attends and hosts cannabis conferences to further develop relationships, learn, educate, and engage others about the various aspects of medical marijuana, including processing, cultivation, dispensaries, and municipalities. By doing so, Morris fills necessary gaps for clients to be successful in their cannabis business ventures. As the only attorney in Michigan certified by the American Chemical Society as a Forensic Lawyer-Scientist, it is safe to say Morris is fascinated by the science of cannabis, including chemical and microbiological testing. Moreover, he is attentive to the EPA, FDA, and Department of Agriculture’s potential involvement with the cannabis marketplace. 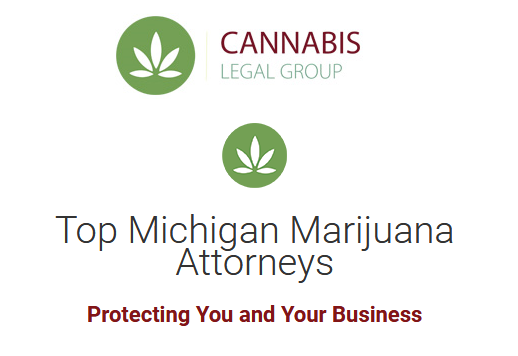 In addition, Morris is a board member of the Marijuana Law Section of the Michigan Bar Association and chair of its science committee, wherein he organizes and speaks at all of their events to further educate roughly 600 marijuana lawyers on the criminal and business side of marijuana law. He focuses much of his attention on issues in the field and supports the idea that more scientific research is necessary. Morris believes that 10 years from now, society will have enough scientific understanding of the significant medical benefits of cannabis, leaving people to question why it was suppressed so much for so long. The reality is, marijuana is classified as a schedule 1 controlled substance with many misconceptions and stigmas surrounding it. The MMMA is nothing more than a defense. It does not legalize marijuana. In light of this, Morris continues to learn and understand not only how safe marijuana is and how it medically helps people, but how it should not be associated with drugs like alcohol, which is completely legal. As a criminal attorney, Morris has seen alcohol ruin lives, and says almost every criminal offense is somehow related to some kind of hard drug or alcohol abuse, generally not marijuana. He believes marijuana is something to be embraced. Morris continues to tackle the many stereotypical and outdated attitudes toward marijuana by representing the industry in a positive and professional manner. In fact, DBusiness Magazine named Cannabis Legal Group the Face of Cannabis Law for 2016 and 2017. Ultimately, it is a great practice that is growing rapidly, and something he thoroughly enjoys. Being well versed in many sectors of law, he came into marijuana law knowing a lot more than he realized, and will continue to teach himself and those around him. This is just the beginning for Barton Morris and the Cannabis Legal Group.